Incorrect training of young birds can lead to improper reinforcement of biting behavior. Unlike a dog, a parrot thinks eliciting a yell from you is a good thing! They can also learn to bite when coming to you if inadequate patience is shown and the bird feels hurried. Captive parrots do not have their primary means of defense available to them. In cages and often with clipped wings they cannot fly so turn to biting when startled or fearful. They may also bite to exert control over their environment by getting their owner to leave them alone or to avoid returning to their cage. Your parrot can also bite while playing and becoming overexcited. This kind of biting needs to be controlled through your gentle interaction with your parrot and setting limits. 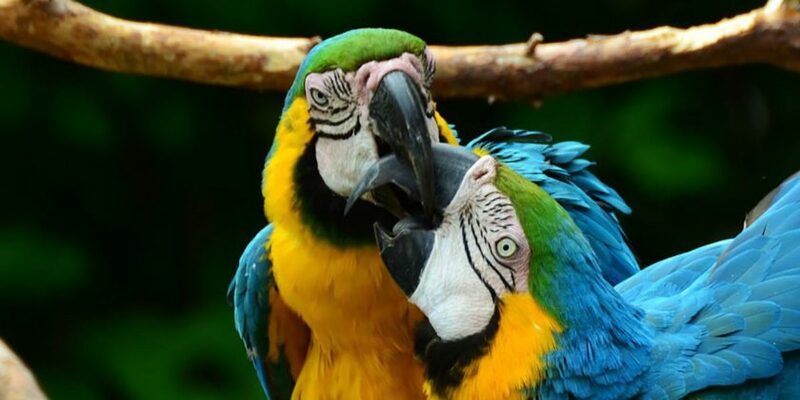 According to the Pet Education website, hormonal fluctuations can also have an impact on the aggressiveness of your parrot which can translate to increased random biting. This is a phase that will pass in time. In cases where you or the bird’s previous owner has inadvertently trained it to think biting is acceptable behavior, your course of action involves patient retraining. 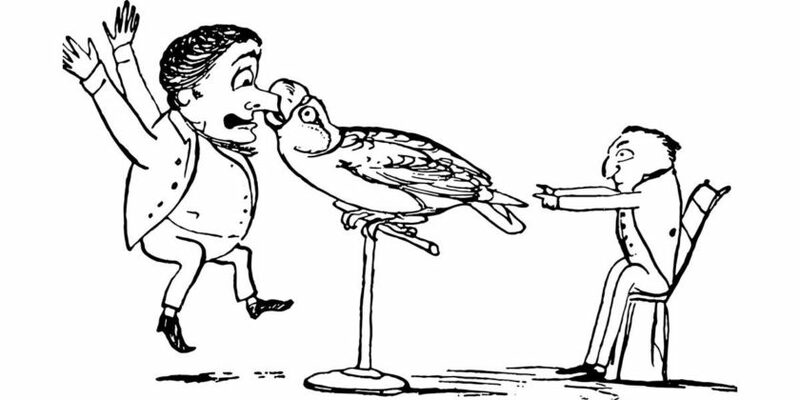 The parrot needs to learn through new positive reinforcement and this means you need to change your reaction to a bite. Learn the signs that your bird is disturbed and may be preparing to bite. Try to distract the bird by calmly talking and perhaps wait a few seconds before attempting to handle it. If you are bitten, instead of quickly pulling back and yelling, try delivering a firm and sharp “No!” Or “No biting!”. Put the bird down and withdraw your hand slowly, repeating the “No biting” command. This will be your mantra as you attempt to retrain your bird. Use it every time you are bitten to show displeasure and every time you see a behavioral indication that a bite is on the way. Over time, you will diffuse the biting with a peremptory “No biting!”. At this time you can positively reinforce the fact that the parrot did not bite by offering a treat. In this way, you can often break biting parrots of bad manners and avoid them altogether if you have the birds when they are young. You can inadvertently cause fear in your bird with unexpected behavior or attire. Suddenly appearing with a hat when you never wore one before or a particularly colorful shirt can cause your bird to bite out of fear when you reach for it. If this is a new behavior for your bird, take a look at yourself and see if you could have contributed to the situation. You should never have a parrot up near your face unless you have a very good relationship with it. Care should always be taken when handling an unfamiliar bird as the conduct it exhibits with its owner may be much different than that afforded you. It is possible to incur an injury to your hands or face when handling parrots. Despite your best efforts in training and caution, there is always that potential when dealing with wild animals. 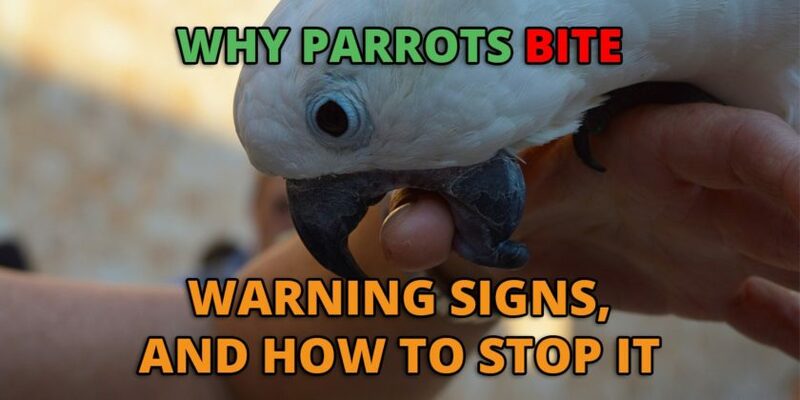 Larger parrots can cause serious injury and even smaller species such as conures can cause some pain and blood with a properly placed bite. Proper hygiene is the first course of action for all bird bites that draw blood. Wash the area well and apply an antiseptic ointment. Bites from bigger birds may necessitate a trip to the emergency room to get stitches. Larger birds can also cause fractured fingers on occasion. Your fingers are important and the potential for permanent injury exists without proper treatment. If in doubt of the severity of your injury go see your doctor. In some cases, your bite could become infected. Treatment with antibiotics may be required and in under certain circumstances, there is a chance of contracting parrot flu or psittacosis. According to the Cleveland Clinic Journal of Medicine, parrot flu results in symptoms of atypical pneumonia in humans. It is transmitted from infected birds which may show no visible signs of the disease and can be spread due to biting. Again, if you think you have been exposed in this manner see a doctor. Thanks for valuable info. My Orange-Winged Amazon screeches a LOT! Mostly in response to my not being in his field of view. No good if you have a life or are married. What to do to redirect him?? I recommend you check out our article on parrot screaming here.